I really wanted to like these mini holidays but having tried out the Call of the Scarab, I’m struggling to see the point. Yes, there are now lots of people in Silithus again but other than that, it seems to lack focus. It was good to run AQ 40 again as I hadn’t been back for a while but it just highlighted the difference between the game then and the game now. 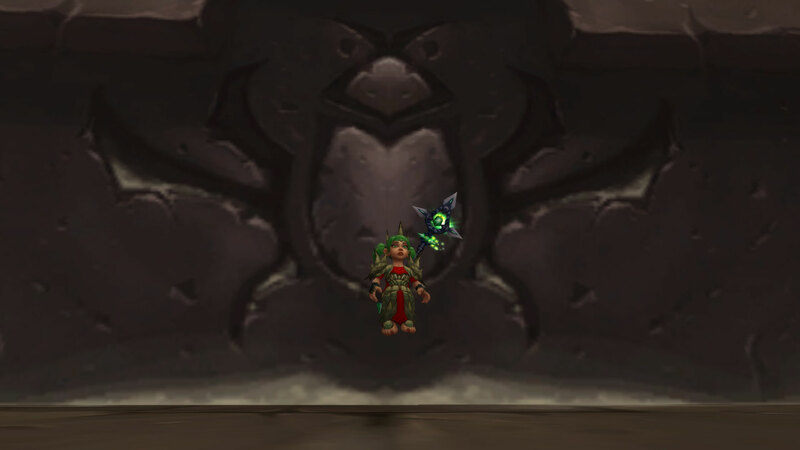 Having to wait for Shield Wall cooldowns when we were pushing for server first kills on Princess Hurhuran is vastly different to two-shotting her on an undergeared level 95 Disc Priest. 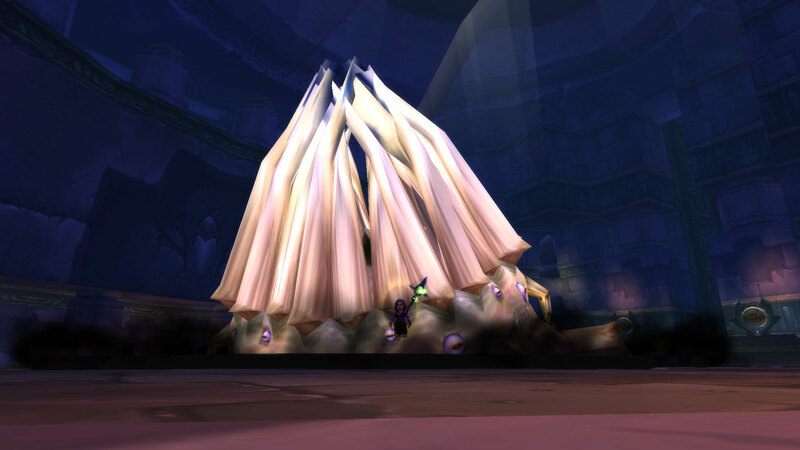 That said killing C’thun did put a smile on my face even though he went down in the duration of the average sneeze. She also got exalted with the Cenarion Circle as an added and unexpected bonus. I gained almost a full level (95 to 96) from arrival by doing the world quests for the two AQ dungeons and also by doing a couple of the quests for the giant bugs which spawn in the hives which is decent gain, especially when compared against the alternative…. questing in Draenor. 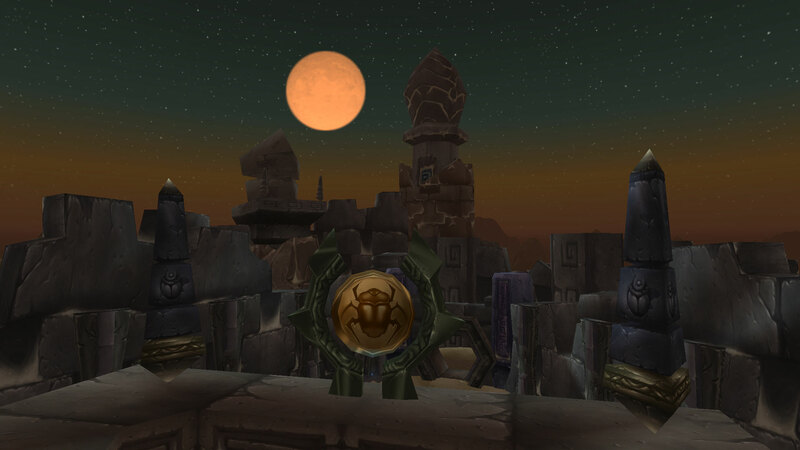 Silithus is an underappreciated zone, I know I had forgotten how pretty it can be under a full moon so perhaps reliving our past glories was a sensible choice for the first micro holiday, I just wish that the Call of the Scarab had slightly more to do as part of it. The race to show your flag at the gates seems to be region wide too and I think we’re outnumbered, certainly we’re outnumbered in terms of people who are interested in taking part. I like being able to wear the Twilight cultist outfit over your own regular clothes, but a transmogrification set that could be farmed and/or sold on the auction house so that people unable to log wouldn’t miss out would have been better (I want the hood!). It will be interesting to see how the other micro holidays play out and whether participation in them increases or decreases across the year. 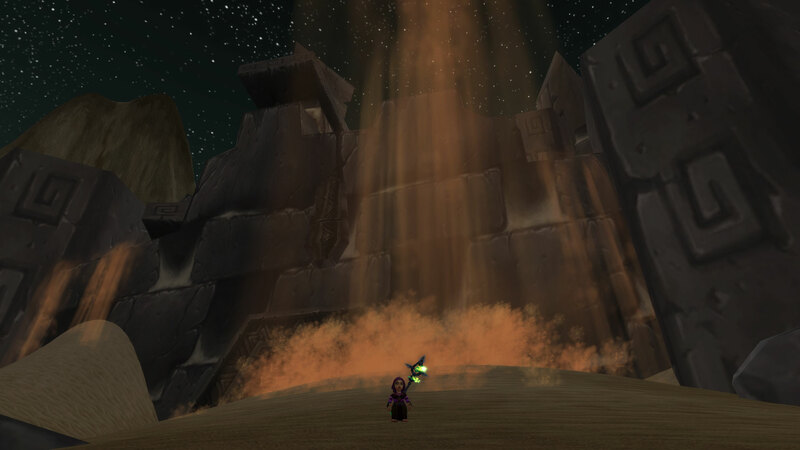 So far in terms of providing an interlude in leveling for a character high enough to level to solo the dungeons and do the world quests without dying, it’s been fun but my two level 110’s have found it a bit lacklustre, possibly because pvping over “lol sand” didn’t excite me at the time. As the title says, I’m still here and still playing. My Priest is almost exalted with all the Legion factions and mostly pvping. In order to properly progress she really needs to do either raids or dungeons. My Mage is contemplating the forthcoming Brawler’s guild with excitement, working on getting the mount from the PvP world quests and planning a vacation to the Dalaran Sewers to farm a Ratstallion that I’ll never ride. In the real world, I’ve just survived Christmas Day with both my Mother and my Mother in Law at the same table proving that whatever 2017 throws my way, I can probably take it in my stride. As far as intentions go, I hope to be writing slightly more often than I have been although it might be about more than just Warcraft. A slightly belated Happy New Year to everyone! (at least it’s still January).